We are an innovated fun based company whose motto reads “Because life is meant to be fun”. 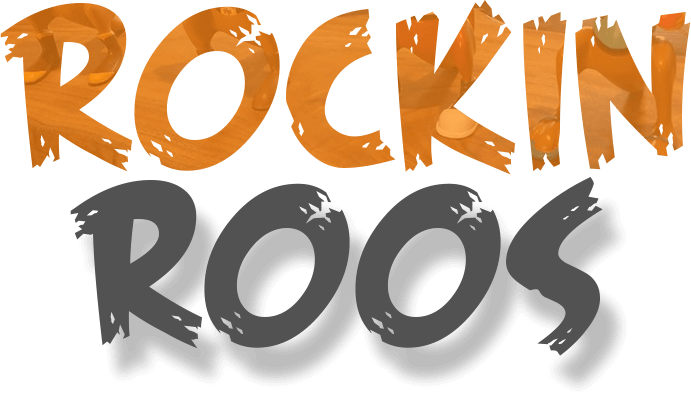 The team here at Rockin Roos are set to revolutionise the retail market with our unique range of Australian created designs and products for the young and young at heart. All of us here at R&R are proud Australians with a love of the Aussie culture, the towns, the bush, its characters and its wildlife. 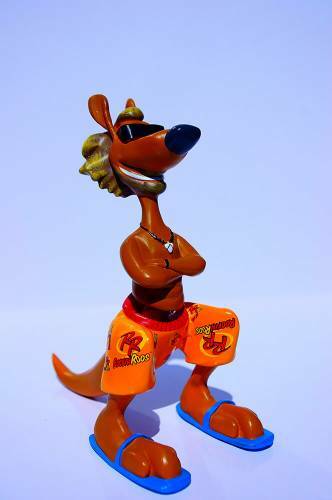 We are as Ridgee Didge as Bluey with a slouch hat and thongs at the footy eating a pie with Vegemite, that’s why our variety of Children’s Books and merchandise has a connection to good old Oz. Check out our products to see our fair Dinkum range. If you’re looking for a personalised approach to developing your own ideas and projects we can work with you as we just love to create and have the experience and knowledge to guide you in the right direction for your business or personal needs. Check out our consultancy page for more information. Our merchandise is design protected so when you purchase a product from us you know it is the real deal. 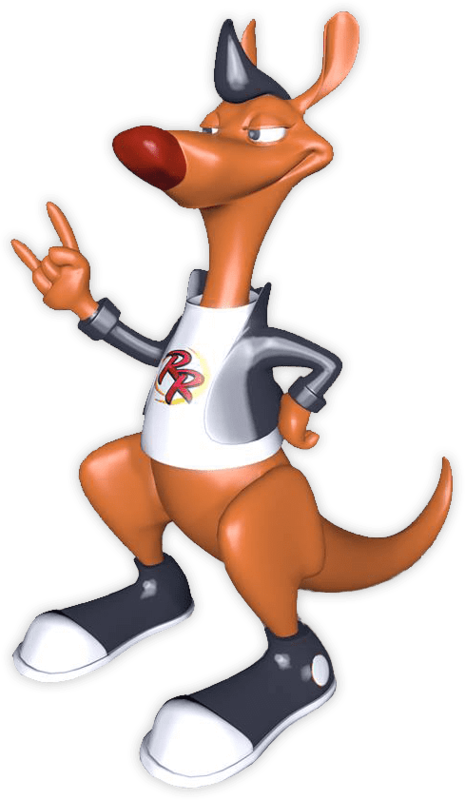 Each Rockin Roo kangaroo character is manufactured using bio degradable products as we care about the environment. Unlike bobble head figurines which use a counter weight balance for head movement only, we use a specialised spring system which allows each character to rock around in a 360 degree motion and as each character has an adhesive base it allows them to attach to many surfaces such as the traditional dash doll figurines. Our variety of innovative and novelty created figurines reflect elements from our vast Australian outback to our deep Blue Sea. Unlike bobble head figurines which use a counter weight balance for head movement only, we use a specialized spring system which allows each character to rock around in a 360 degree motion and as each character has an adhesive base it allows them to attach to many surfaces such as the traditional dash doll figurines. Our variety of innovative and novelty created figurines reflect elements from our vast Australian outback to our deep Blue Sea. 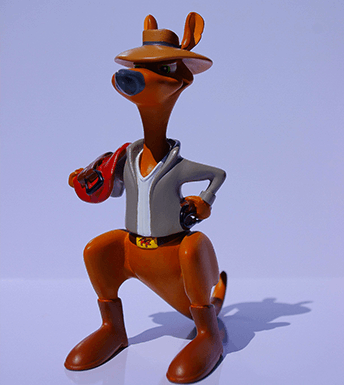 Each one is created in the Rockin Roos Studio and is named after a specific Aussie theme and other interesting characters you may know.We are always thinking of many more individual and fun characters to add onto the Creation Wagon so we are sure there will be one that reflects who you are. These products make a great gift idea for friends and family, souvenir for our visiting tourists or wonderful collectable items. 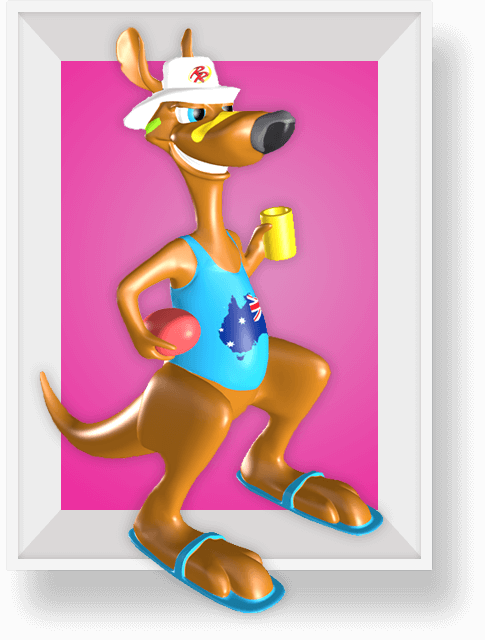 So click on “View Products” to see our range and come enjoy the world of Rocky the kangaroo and his many mates along with our delightful range of children’s books written by, our in house author, Samantha Morris who showcases local Australian towns for an interesting and colourful read. For online purchase enquiries please email us with the postage details so we can provide the best price for shipping/freight on your product purchase as this will vary depending on your location. We will invoice you with a complete cost breakdown and for online purchases you can choose direct debit or PayPal to complete your order. 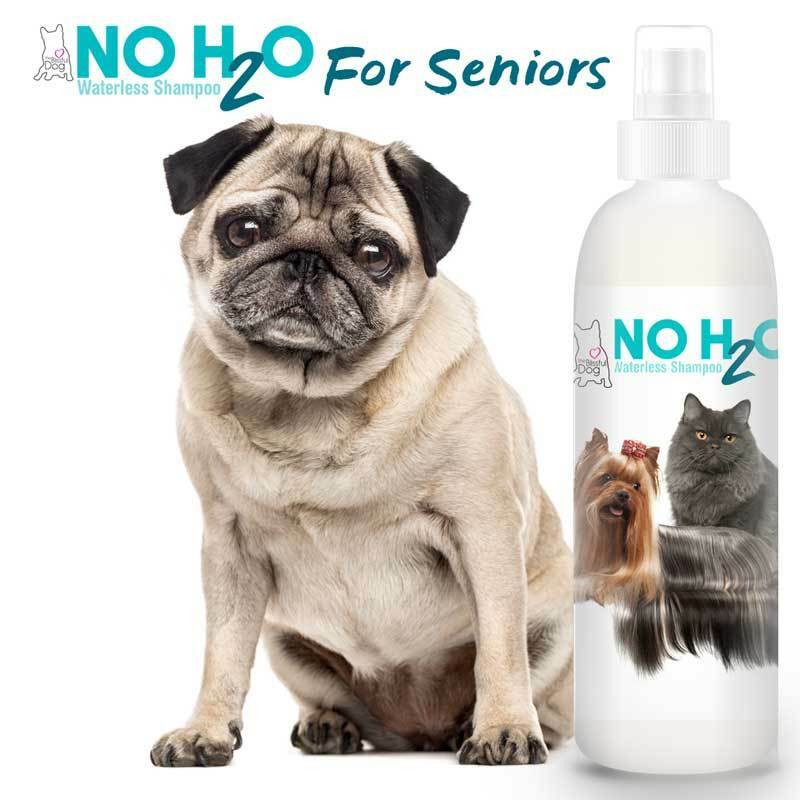 Check out our FAQ page for more information on our products. 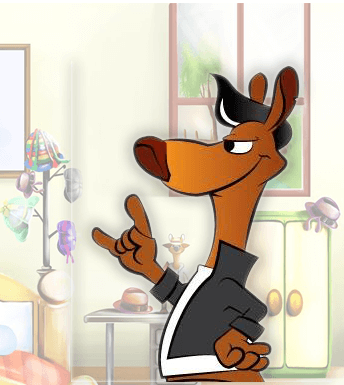 The team at Rockin Roo’s would like to share our journey with you by keeping you up to date with our whereabouts, latest news, newest products and any special offers we may have. Feel free to follow our blog and check in to our Facebook ,Twitter and Instagram page. You Know we love our caravan roll out awning. It provides shade, protection from the elements rain snow. It is our outdoor lounge room and its were i spend most of my time while we are on the road. We also see what happens when things go terribly wrong. 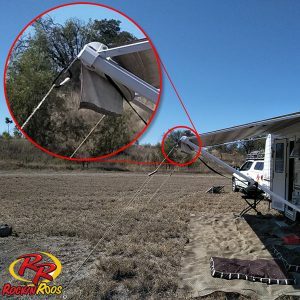 We have seen severe external damage to caravans and RV’s from wind blown awnings that add up to big dollars to fix not to mention the inconvenience of trying to remove a bent frame. On one occasion a lovely lady came to our face to face stall with bruises and cuts to purchase a set of our Roo Paws and explained her husband had tried to put up the awning in the middle of the storm and she was to hang onto the middle. Which she did like a bull dog, but she also never let go when the wind overpowered her husband. So she was deposited onto the roof of the caravan in an untidy heap. 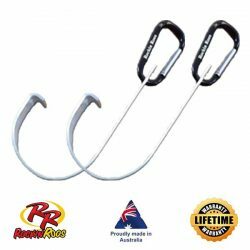 There is not a lot of guidance when you purchase your van or RV about securing down the external awnings and in Australian conditions experienced travelers will tell you be prepared for everything. The she will be right attitude or i will put it up before it blows does not always cut it when on the road and it would be nice if you knew a blow was coming but you never know. We were at Mt Isa last Christmas 49 degrees not a cloud in the sky and not a breath of wind. When suddenly our 23 foot trade van got shaken like a dogs toy, chairs went everywhere, Bbq blown over and the awning inflated like a balloon with our spring tensioners extended to there full capacity. I raced from the van to see the biggest whirly whirly i had ever seen recede into the distance. So no putting up the awning when i think it will blow just does not cut it. Without our Roo Paws attached we would have lost our awning for sure. So the point is when using the awning dont take it for granted secure it or raise it, Mother Nature will not give you a warning. 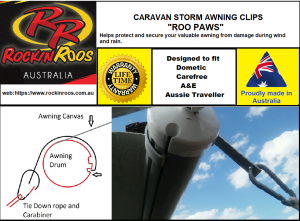 We welcome aboard Outdoria and Go See Australia who are now stockist of our famous Caravan Storm Awning Clips “Roo Paws”. Simply search our brand Rockin Roos and you will find our stock in their shop. Another way we are making it easier for our customers to access our products.